Hello! I am Lori and I love my job! I believe raising my beautiful, loveable, and cute puppies is a gift and I take it very seriously! Most of the puppies I raise are considered to be Tiny Yorkie Puppies. I have been breeding Yorkies for many years now trying to get that perfect look. 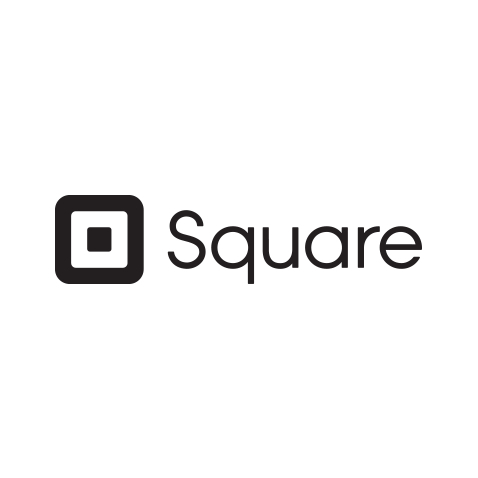 I'm very proud of the progress that we have made. 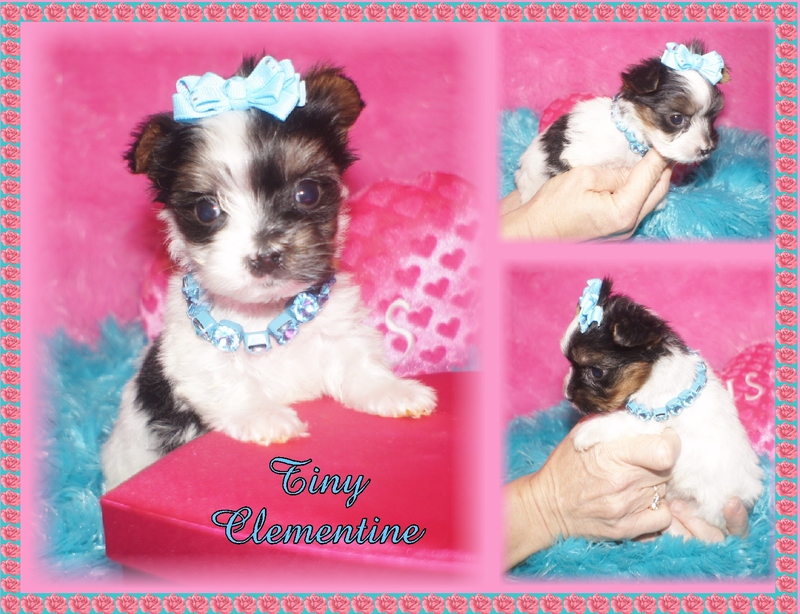 If you are looking for that perfect teacup yorkie then please take a look at my puppies for sale page and see if you can find that perfect little teacup yorkie of your dreams. You might also be interested in a Chocolate, Golden or a Parti Yorkie puppy. I love these colors. If you choose to adopt one of my teacup yorkie puppies, I will be available to you at all times for any questions or concerns you may have about your new Yorkie Puppy. Our cute yorkie puppies are raised in our home and come to you Healthy, Happy and already Spoiled. We are currently raising Traditional, Golden, Chocolate and Parti Yorkshire Terriers. 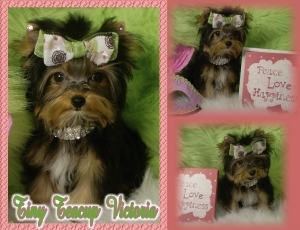 Here at Loris loveable pups You will find Yorkie puppies for sale in Oklahoma. 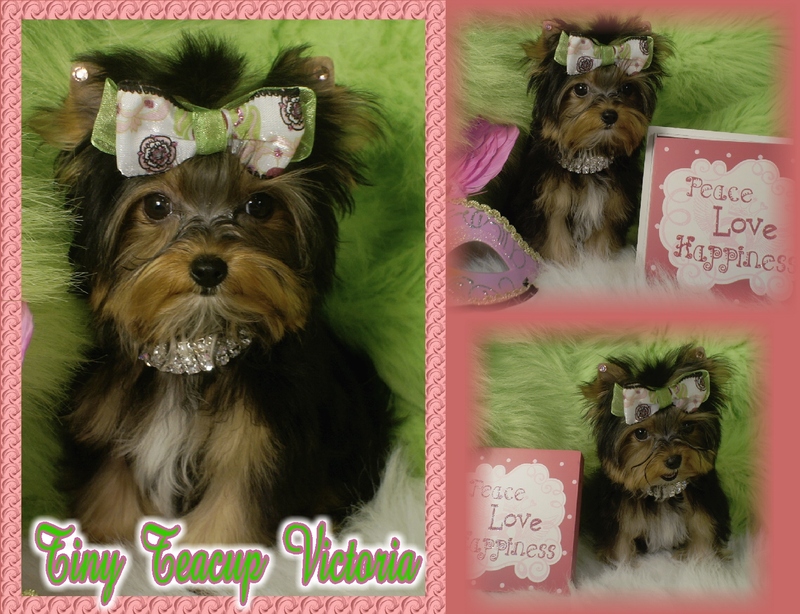 We do ship our Teacup Yorkies for Sale all over the USA so please take a look and see if you can find a Yorkie Puppie that is right for your family. If you find a Teacup Yorkie Puppy for sale we might hire our Nanny to fly the puppy to you and show you how to take care of it. This would be best if the Teacup Yorkie is of a young age. Please check out our Yorkies for sale page and let me know if you see a nice yorkie that you can't live without. Yorkshire Terrier Puppies are wonderful eye catching little companions. They make wonderful family pets and are a perfect addition to your family. A small, tiny Yorkie Puppy will have to be carefully placed in a loving secure home. When picking out your perfect new addition please keep in mind, sometimes smaller children might love a little too hard or even put the pup down to hard, letting it fall off the couch or bed. They don't mean to, but it does happen. It can happen before you know it, and then it might be too late. Do yourself and your family a favor, and get a Yorkshire Terrier Puppy that will best suit your family's needs. Pick a family Yorkie Puppy that can grow with your family and be happy, health and loved for many years to come. Here's what a Traditional Yorkie looks like. Here is an example of a Parti Yorkie Puppy. Isn't she just adorable! If you would like to learn more about this color of Yorkie and more information about the Parti Yorkie please click on the link below. Golden Dandy is a great example of the Golden Yorkies that occasionally have. He is a teacup golden yorkie puppy that we are proud of! Here's an example of a Chocolate Yorkie Puppy. 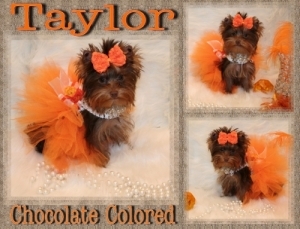 To check out Chocolate Yorkies for Sale please visit our Chocolate Puppies page. All ( adult female yorkie dogs, adult male yorkie dogs, mini yorkies, teacup yorkies, tea cup yorkies, yorkie puppies, yorkie puppy, ) pictures on this site are the sole property of www.lorisloveablepups.com, and may not be copied without permission. My Oklahoma Breeder License number is 55. Buy a Yorkie Puppy Today!